Some seasoned travelers may cast a weary eye upon Europe. London, Paris, Rome…check, check, and check. 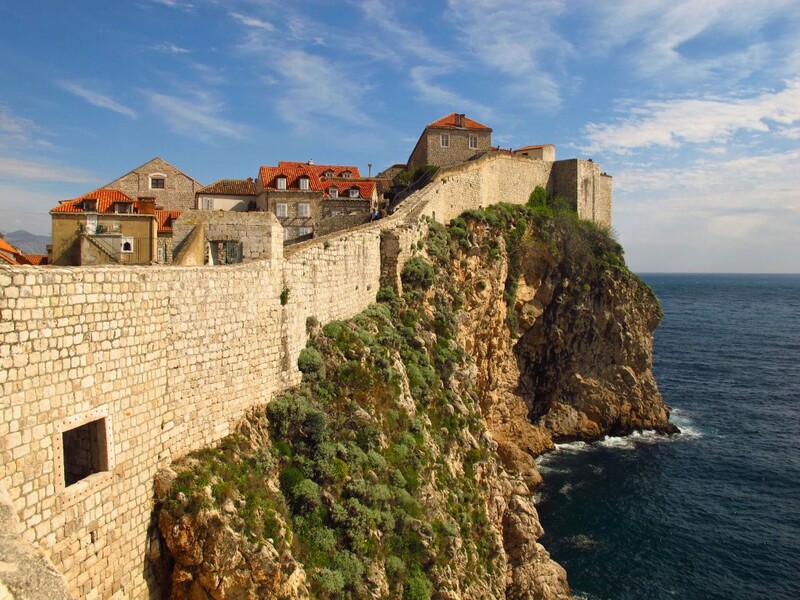 But if you think you’ve “been there, done that,” it may be time to consider Croatia. 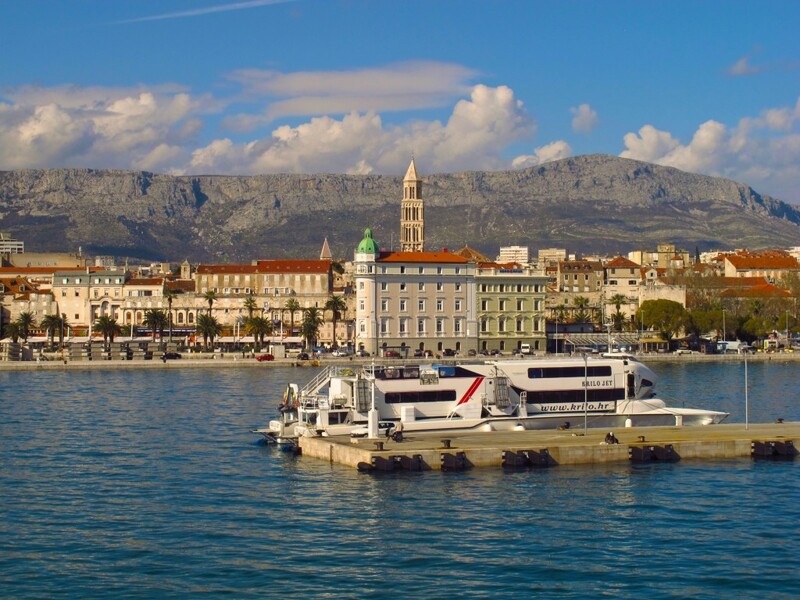 A ferry awaits passengers in Split, Croatia. Beyond, the palm-fringed Riva promenade skirts the edge of the harbor and the Mosor Mountains rise up behind the city. Since joining the European Union in 2013, this slice of the former Yugoslavia has officially hit the big time. Twenty years after the Croatian War of Independence, its once battle-scarred cities have been beautifully rebuilt, and the country wants the world to know: it’s open for business. If you haven’t yet dipped your toe in the sapphire Adriatic Sea abutting its shores or discovered the museum-packed capital of Zagreb, Abercrombie & Kent’s nine-day Connections tour–“Croatia: Jewel of the Coast”–offers a tantalizingly moreish taste of this croissant-shaped nation. In Dubrovnic, you can walk the entire city wall–about a mile–for views of the Adriatic and across the red-tiled roofs of the town. 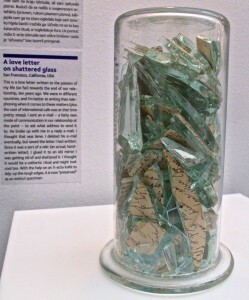 A love letter, which which was attached to a piece of glass and then shattered, is on display at Zagreb’s Museum of Broken Relationships. 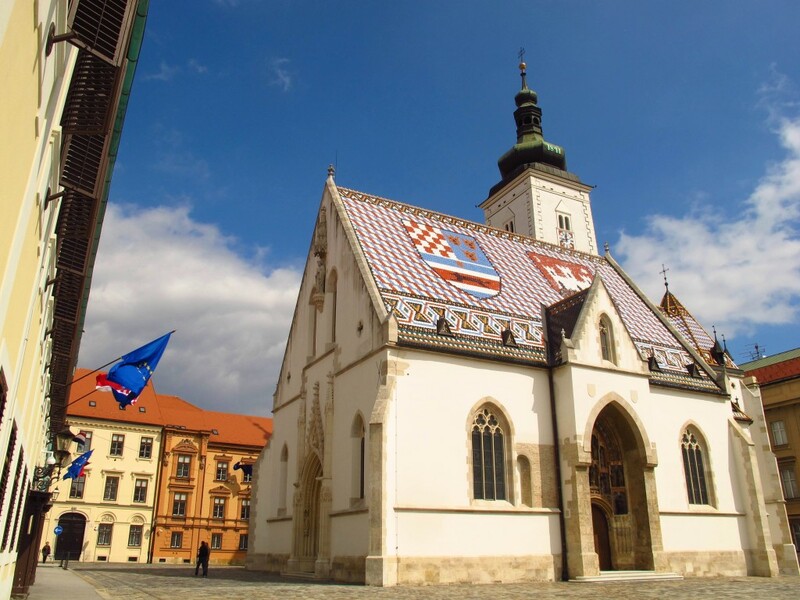 The journey begins in Zagreb, renowned for its cultural attractions, including nearly 70 galleries and more than two dozen museums devoted to everything from archeology to natural history. With its mixture of baroque architecture and winding lanes, you could easily spend a day just wandering Zagreb’s streets. Well-dressed denizens gossip over coffee along Tkalciceva. 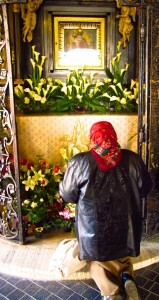 Women with tanned, weathered faces framed by headkerchiefs sell fruit and vegetables in the Dolac Market, and religious folk flock to Stone Gate to light a candle and kneel before a portrait of the Virgin Mary. This revered icon, now encased by glass, survived a great fire in 1731 and is thought to possess healing powers. St. Mark’s Church, with its peacock-colored tiled roof, may feature on every tourist brochure, but according to guide Valentina Buklijas, Stone Gate is where locals come for serious miraculous mojo. 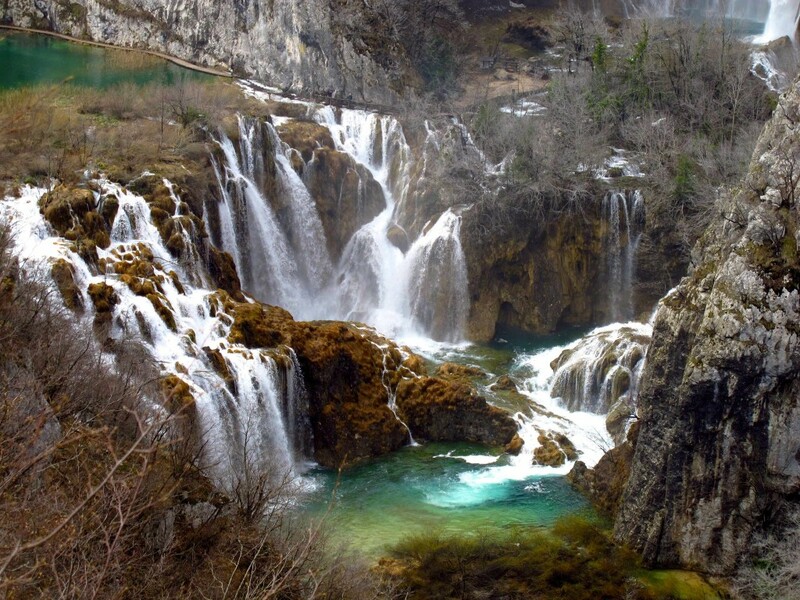 After two days in Zagreb, my group, accompanied by a tour leader and driver, piles into a bus for the ride towards Split on the Adriatic, with a break for a hike alongside the surreally blue lakes and cascading waterfalls of Plitivice National Park. Following a filling lunch of pork schnitzel, I find myself fighting off carcolepsy—my term for the somnolent state brought on by long drives—as we pass bucolic farms, pine forests and hills unfurling towards the mountains. Sixteen lakes, filled by cascading waterfalls, accentuate the beauty of the virgin forest at Plitvice Lakes National Park in central Croatia. 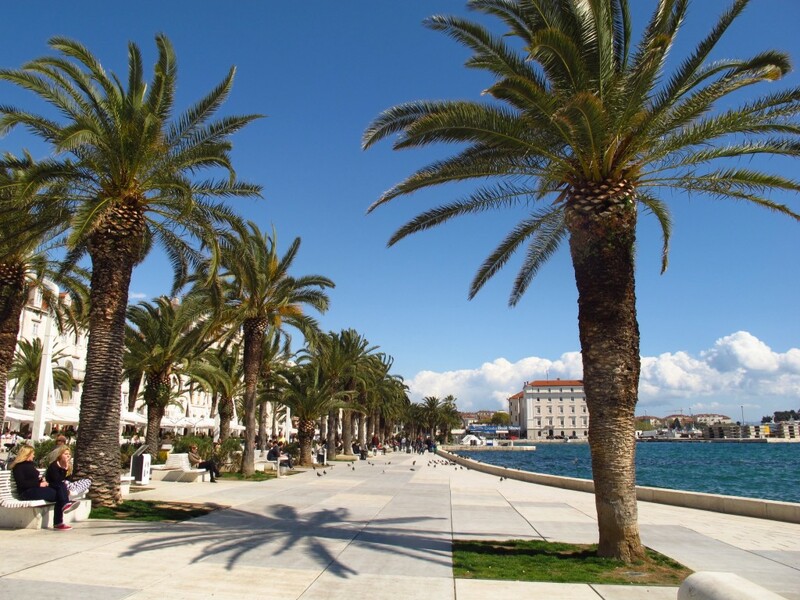 Arriving in Split, a coastal community at the foot of stony mountains, the comingling of past and present is baldly evident in the architecture. On the outskirts, soaring monolithic apartment buildings—erected under Yugoslavia’s post-World War II communist leadership—dominate the skyline. 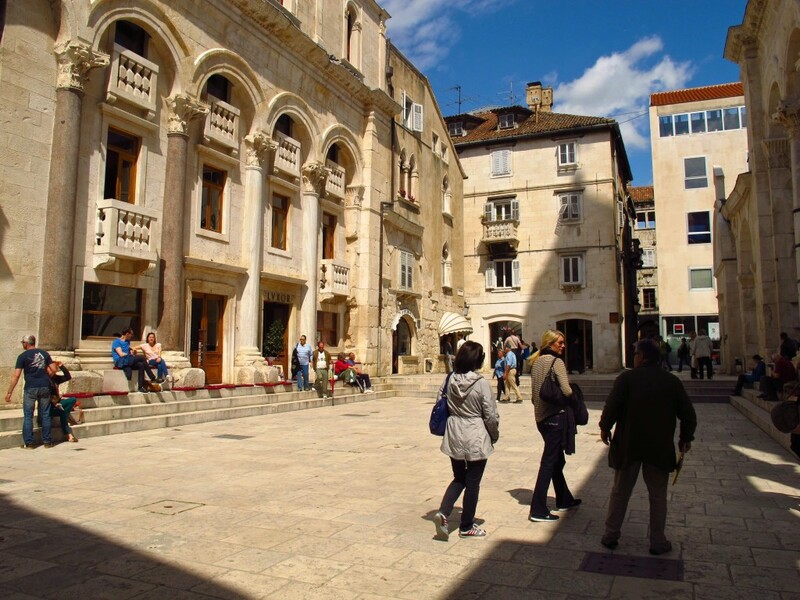 But nestled on the Adriatic, the ancient Roman Diocletian’s Palace dates back as far as 300 AD. The palace is not simply an historic monument, however. It’s a compact walled city where people still live and work. 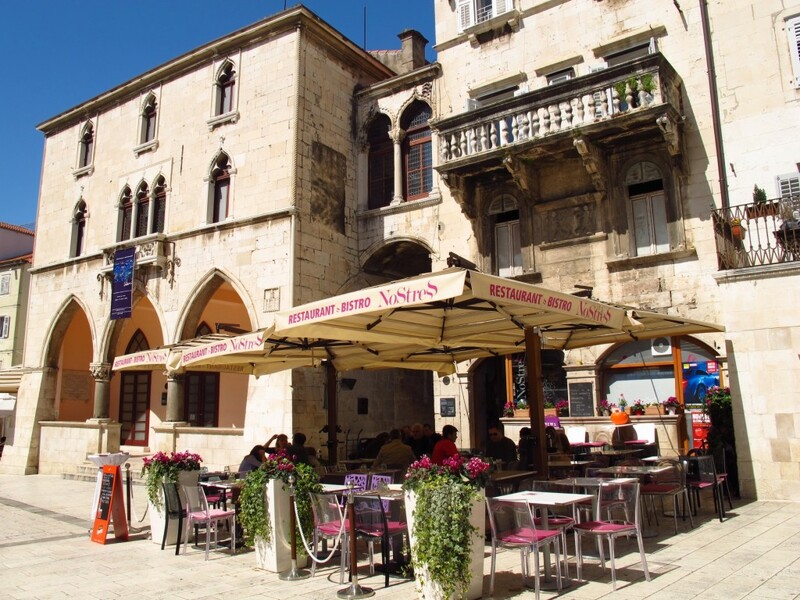 As the beating heart of Split, it’s filled with shops, restaurants, bars, apartments, and laundry lines strewn like bunting across labyrinthine alleyways. And so does our journey. Although I’m reluctant to leave Split, my taste buds are tingling with the promise of a unique culinary treat—a feast plucked directly from the sea at Bota Sare in Ston. Ston Harbor. Not a bad place to stop for lunch. 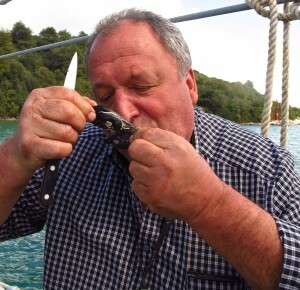 Hopping aboard a small launch, we accompany the owner, Bozidar Sare, as he reels in lines of oysters and mussels with his large, meaty hands. With a deft flick of a knife, Sare cracks them open the minute they reach the surface, and we slurp the tongue-like meat from the shells with a surprisingly sensual French kiss. 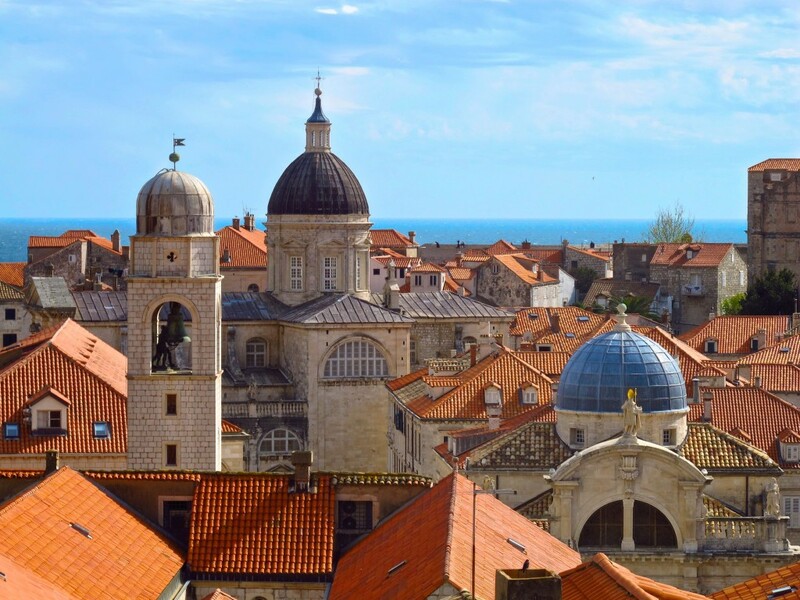 From atop its medieval walls, which stretch for more than a mile, I’m rewarded with views of the Adriatic to the south, the harbor to the east, and red-tiled roofs and domed churches inland. 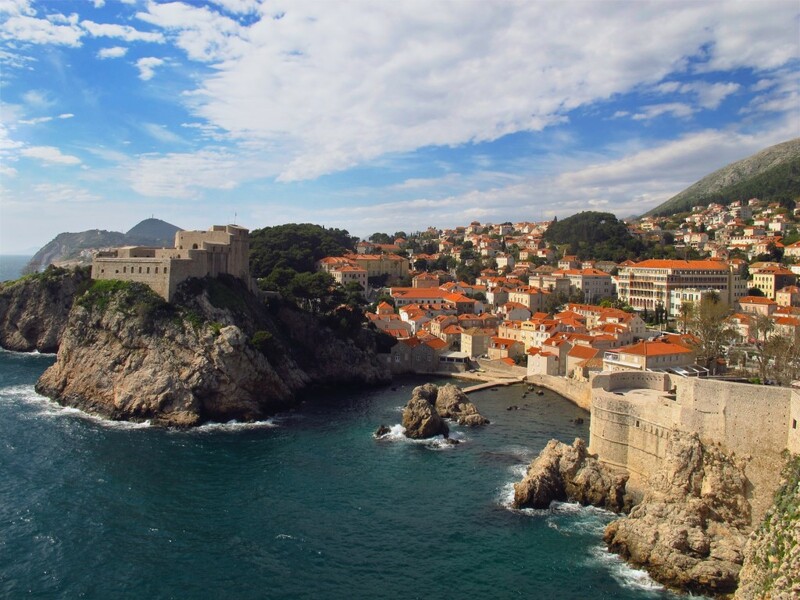 It might look familiar to fans of HBO’s “Game of Thrones,” which adopted Dubrovnik as a stand-in for King’s Landing in the second season. During the 90s, the world watched in horror as this splendid city was shelled by Serbian and Montenegrin forces from the Yugoslav army. Tea Batinic, a local gallery owner with whom A&K arranges for us to meet, describes those dark days. Her attic was hit by five shells, buildings were burning all around town, and the city was without power or water. Today, the fountain is fully repaired, and the buzzing square is filled with vendors hawking fresh produce, folks sipping pale pints of beer, and pigeons awaiting a man who feeds them every day at noon. The city has been restored to its former glory, with only a few shrapnel pockmarks on its walls and pavements, if you know where to look. Under the skin, scars may always remain for those who remember the war, but, as they say, life does indeed go on. Amy Laughinghouse, January 25, 2016. 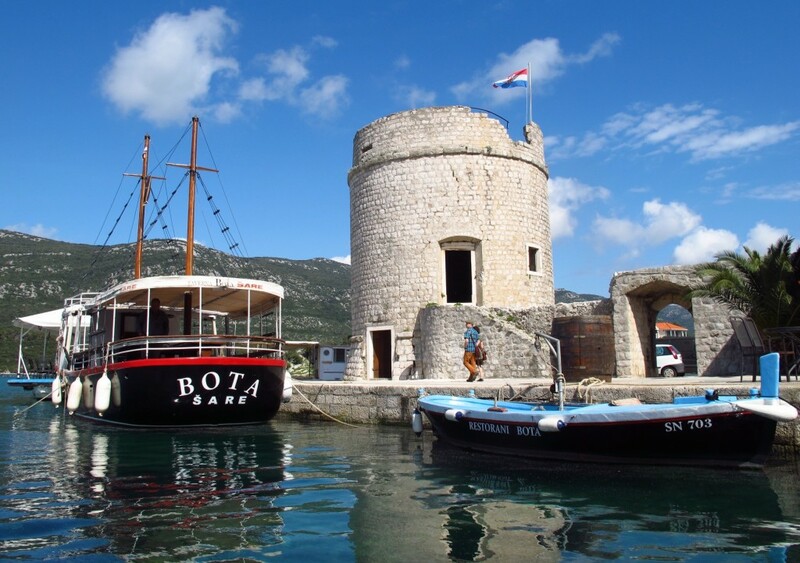 No Comments on Croatia: Taster Tour with Abercrombie & Kent. Category: City Break, Europe. 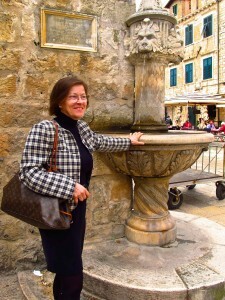 Tagged: Abercrombie & Kent, Croatia, Diocletian’s Palace, Dubrovnik, Split, travel, Zagreb.